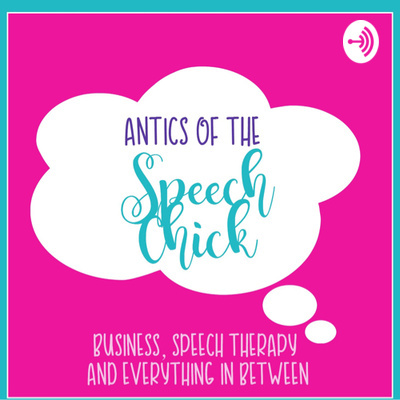 One redhead’s journey through speech therapy, business, TpT, social media and everything in between! In this episode, I am sharing my journey to becoming a private practice SLP. Hear how it all started back in 2010! Here's the blog post to go with it! Ch. 6: Do I Need A Blog? "Do I need a blog?" asked the fabulous SLPreneur. My answer? You'll have to listen to find out. Find the show blog post here! Whether you DIY your logo or outsource the gig, it's overwhelming! You are already super overwhelmed with starting your new biz. Just breathe and listen to this episode for help! I'm giving tips I learned along the way while designing my own logos. Want the blog post with all the links? Click here. New year means new goals! Hear what I have planned out to make 2019 better! You can find show notes with links to the mentioned blog posts here. Chapter 3: I have a M.S. Degree, Not an MBA!!!! We are talking business today! That is naming your speech therapy business. I’ve come up with a list of 5 tips to help you name your new adventure!!! Who am I and why I started this podcast...in the most basic form!